In their only fully collaborative literary work, Michael Dorris and Louise Erdrich have written a gripping novel of history, suspense, recovery, and new beginnings. 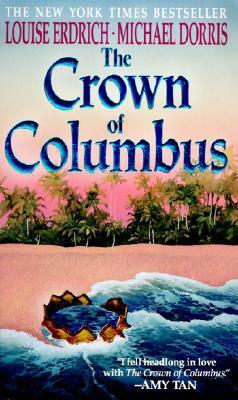 The Crown of Columbus chronicles the adventures of a pair of mismatched lovers--Vivian Twostar, a divorced, pregnant anthropologist, and Roger Williams, a consummate academic, epic poet, and bewildered father of Vivian's baby--on their quest for the truth about Christopher Columbus and themselves. When Vivian uncovers what is presumed to be the most diary of Christopher Columbus, she and Roger are drawn into a journey from icy New Hampshire to the idyllic Caribbean in search of "the greatest treasure of Europe." Lured by the wild promise of redeeming the past, they are plunged into a harrowing race against time and death that threatens--and finally changes--their lives. A rollicking tale of adventure, The Crown of Columbus is also contemporary love story and a tender examination of parenthood and passion.